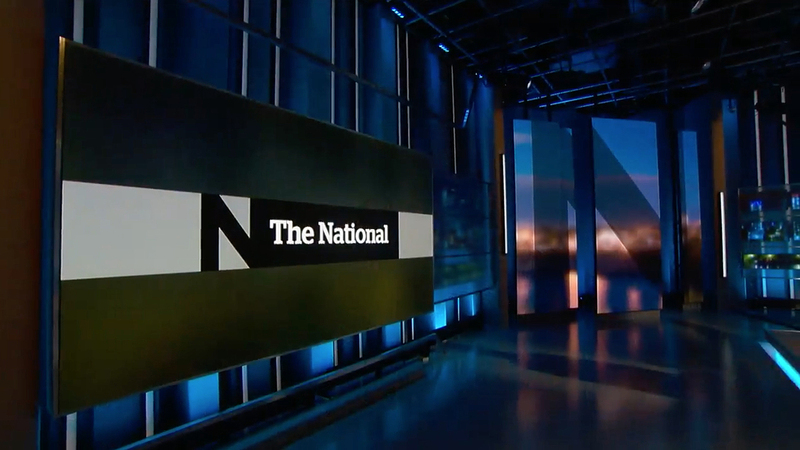 CBC, the public broadcaster of Canada, unveiled the revamped “The National” last night, its flagship nightly newscast. Mixing monochromatic graphics with minimal on-screen distractions and a pared-down mix of stories, the broadcast is vastly different from most evening news programs, especially those in the United States. The show feels like a mix between “Vice News Tonight,” “PBS Newshour” and a documentary program, such as “Frontline” or “The Fifth Estate,” CBC’s weekly news magazine program, with longer stories aimed at deeper reporting. Focusing on only a handful of stories allows for more development and reporting, without the traditional recap of the day’s events and generic nightly fluff. 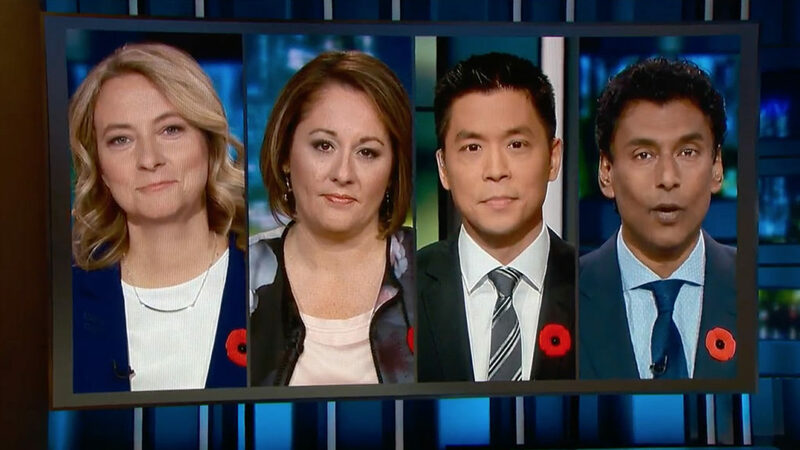 “The National” also breaks from tradition with a roster of four anchors, originating from three cities across Canada. Adrienne Arsenault and Ian Hanomansing are based in Toronto at the network’s main headquarters, the Canadian Broadcasting Centre, with Rosemary Barton in Ottawa and Andrew Chang in Vancouver. Chang also has the duty of updating the newscast throughout the night for Canada’s various time zones as news breaks. Producers note that all four anchors will not appear in every episode, as sometimes they’ll be working in the field. The anchors also debrief each other after their long-form reports, such as after Arsenault’s piece on Syria.